If you missed the end-of-the-year sales on new cars in December, you can still save money by purchasing a late-model used car. Wholesale prices of used cars and trucks fell in December for a fourth straight month, meaning dealers can mark down these vehicles this month and still make money. J.D. Power’s latest Used Car and Truck Guidelines Industry Update shows the seasonally adjusted used vehicle price index fell by 0.4 from November. Wholesale vehicle prices were down by 2.2 percent. On an annual basis, the report showed prices were strongest for passenger cars, which is just the opposite for new car sales. In the new car market, consumers favor trucks and SUVs over sedans, so much so that both Ford and GM announced plans last year to phase out some of their sedans. Compact cars, seemingly out of favor in an era of low gasoline prices, increased in value by 9 percent year-over-year. The average price of mid-size sedans rose 7 percent. While wholesale prices of SUVs also rose on an annual basis, their increase was significantly smaller than those enjoyed by compact and midsize sedans. That suggests that consumers who are interested in an SUV may be able to negotiate better deals on the used car lot than in a new car showroom. The best deals, however, may be in the used luxury car category. The J.D. Power report notes prices were lower in nearly all luxury segments with some of the biggest price declines among mid-size luxury sedans, which finished the year down 7 percent. With the average new vehicle selling for around $37,000, late-model used cars are becoming an attractive alternative, especially since prices appear to be softening. 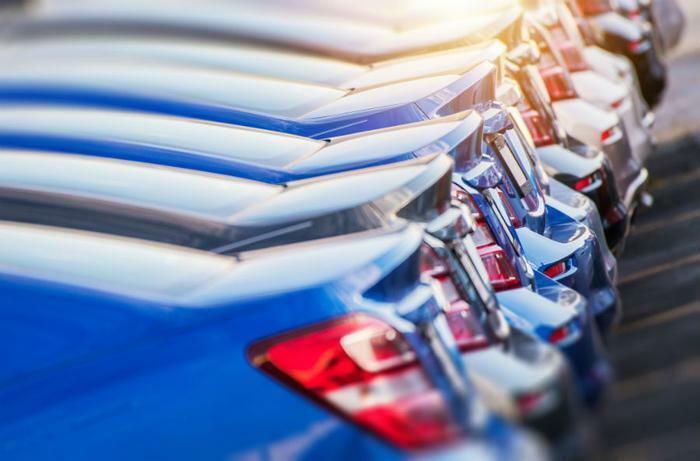 The report predicts this trend will continue through 2019, with wholesale used vehicle prices declining by 1.1 percent by the end of the year. “There should be increases in used supply once again this year along with more volatile credit conditions which are expected to apply downward pressure on the used side of the market,” the authors write. The report concludes that used vehicle sales should increase this year as consumers are drawn by better value and recent-model vehicles with more advanced safety and technology features.